a large tertiary care center in a rural American city. 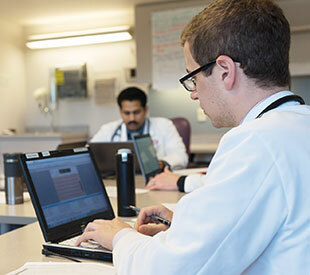 State-of-the-art facilities and knowledgeable faculty and fellow residents support a balanced curriculum. Marshfield Clinic expands medical student and resident training opportunities from your first day to graduation. Marshfield, Wis., is a cozy community with affordable housing. Enjoy short commutes, little-to-no traffic and various arts, entertainment and recreation. 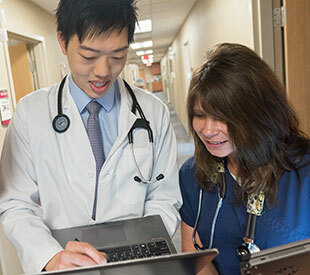 ​​​Marshfield Clinic Internal Medicine Residency Program offers a competitive salary and benefit package, including medical transcription support and program coordinator assistance. 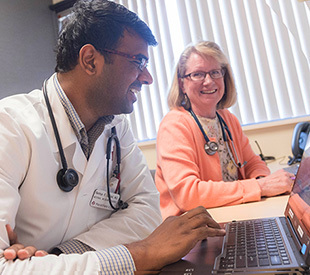 We provide a diverse rotation schedule complemented by weekly conferences and active participation in scholarly activity, supported by our own Marshfield Clinic Research Institute. Your application is not considered if you have more than one attempt on either Step 1 or Step 2. Research and observing are not hands-on clinical experience. We make exceptions for candidates who were in U.S. residencies during this time. Apply through Electronic Residency Application Service (ERAS)​. We do not accept paper or email applications.